An iconic Halloween design brought to you in a terrifying animation, this scary halloween video loop makes for an intriguing display. A neat asset to have at your ready. 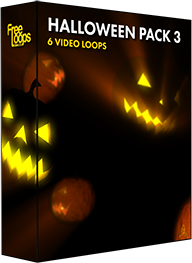 This video loop is part of Halloween Pack 3.